Every road trip benefits from the guidance of GPS. It’s the perfect metaphor for your digital marketing efforts. You need direction; you cannot afford to wander around aimlessly -- inevitably wasting time and resources on dead ends. Before you start, make sure you know where you are going. What are your goals and objectives? Where do you want digital marketing to take you and your business? How will you measure your progress? What if you take a wrong turn? Goals can include increasing sales (of course! ), increasing website traffic, conversions, repeat traffic and customers, dealership visits, and more. Make sure goals are SMART: Specific, Measureable, Achievable, and Relevant. The “M” is particularly critical; if you don’t have a way to measure the efficacy of techniques, you have no way to known if a campaign is actually yielding an ROI. On a related note, you must also clarify your target audience so you are not wandering ineffectually around the digital marketing landscape. Many auto dealers throw a lot of messaging out and see what sticks. This is tremendously wasteful. Instead, identify your customers. To whom are you selling? What do you know about them (age, professional status, marital/family status, level of education, geographic region, gender, etc.)? What do they care about? This enables you to create effective campaigns that reach them in compelling ways. This is the reality of the 21st century car buyer: they do not start shopping for vehicles at the dealership. In fact, 88% of consumers turn to the internet to research their options (both vehicles and dealers) before they purchase. Further, 42% use a various devices (i.e. desk/laptop, smartphone, tablets) -- even while they are at the dealership. Five to ten years ago, a mobile-friendly or mobile-first site was a “nice-to-have.” Today, it’s a “can’t-do-without.” Not taking your business mobile is like putting a good car up on blocks. Closely related to mobile is social: you need to have a presence on platforms like Facebook. This enables you to engage your audience, promote your helpful content, and place targeted ads (and retargeted ads). About a quarter of car buyers use Facebook during the research process. If you’re not there, they will have no trouble finding a dealer who is. 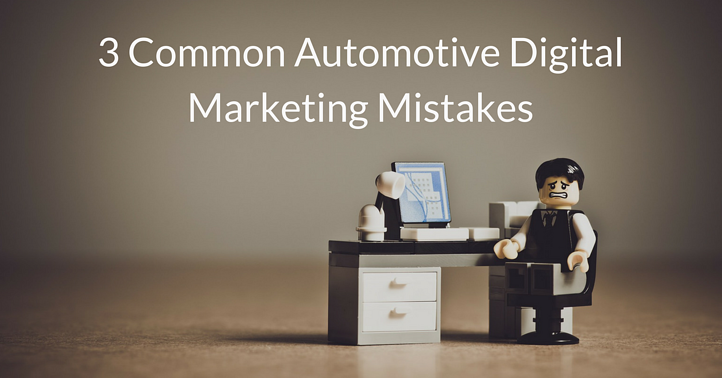 An experienced automotive digital marketing agency can help you implement a sound plan to get your business moving forward. When determining your goals and direction, you consider who your customers are and what they need and want. Remember that. You have to put your customers first. The goal of digital marketing is to create a seamless, positive experience for them. This is why your website is connected to your social media accounts. It’s why you have a mobile-friendly web presence. It’s why you offer an array of online tools, from helpful content that adds value to your customers to useful tools that save them time when they visit your dealership (e.g. price comparisons, model information, tips to make your test drive more effective, financing and insurance applications, etc.). Today’s consumers are empowered by information and access to data. They are in the driver’s seat. When you recognize and accommodate this reality, you can build trust. 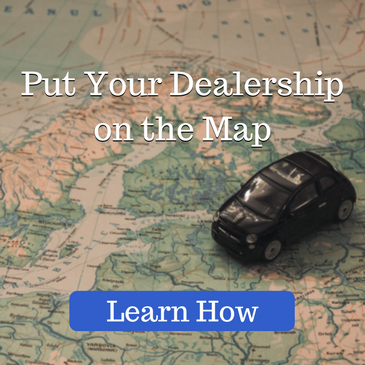 You can establish yourself as an authority -- not just another hard-sell dealer. This is what they want. Speaking louder, faster, or with more complex terms won’t help you sell more cars. Creating a sound automotive digital marketing strategy that responds to the changing market will.